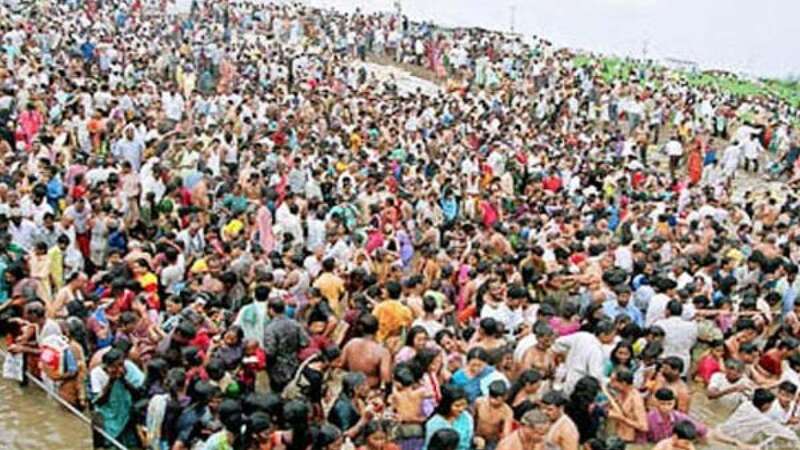 Hyderabad : At least 29 people lost their lives in a stampede during the Godavari Mahapushkaram in Andhra Pradesh. Mahapushkaram is a Hindu religious festival, where people go to take holy dip at Godavari river banks. The incident took place in the morning after Chief Minister Chandrababu Naidu and his family took the holy dip. A visibly shaken Naidu also announced a compensation of Rs 10 lakh to the families of the deceased. Prime Minister Narendra Modi also tweeted about the incident. "Deeply pained at the loss of lives. My condolences to the families of the deceased and prayers with the injured. I spoke to AP CM Naidu and discussed the situation with him. State government is working to restore normalcy," PM Modi tweeted. First day of festival see more crowds due to a belief that taking a holy dip in the river on the first day of the festival will be more auspicious.